Following Palestinian Arab pressure, friendly match between Argentina and Israel’s soccer teams cancelled. A friendly match between Argentina and Israel’s soccer teams, which was supposed to take place this Saturday at the Teddy Stadium in Jerusalem with the participation of Argentina star Lionel Messi, will be canceled, Argentine media reported on Tuesday evening. According to reports, the cancellation of the game was a result of Palestinian Arab pressure which was expressed in demonstrations in Argentina and in protest outside the place where the Argentina team held its training camp in Barcelona. 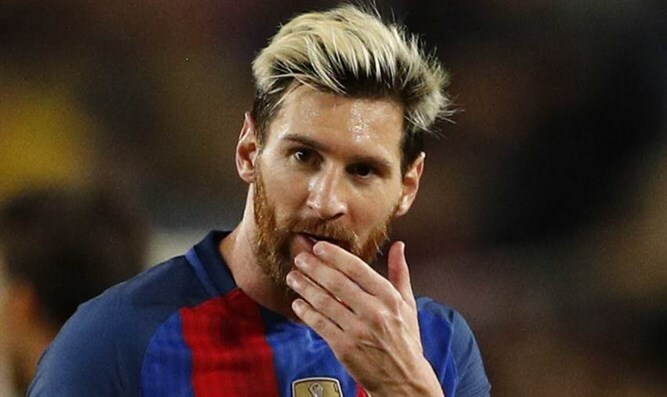 Speaking at a news conference in Ramallah, Rajoub told journalists he had written to Argentina’s government asking that Messi not take part in a June 9 friendly against Israel. The organizers of the June 9 game announced several weeks ago that the that the game would be played in Jerusalem's Teddy Stadium instead of at the Sammy Ofer Stadium in Haifa, despite the fact that it can hold more fans. Culture and Sport Minister Miri Regev on Tuesday evening asked Prime Minister Binyamin Netanyahu to speak with the president of Argentina and ask him to intervene to prevent the cancellation of the friendly soccer game.